Spring Island is the last of the great, private sea islands on the Atlantic coast. 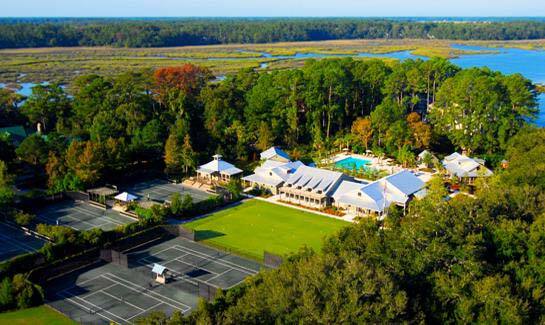 Located midway between Hilton Head Island and Beaufort, South Carolina, this gated nature-oriented residential community of 3,000 acres is surrounded by the Callawassie Creek and the Chechessee and Colleton Rivers, which grants homeowners the opportunity for inshore fishing, offshore charters, boating, wildlife sightings, bird watching, hiking, and kayaking. This island and community is one of the rarest and most beautiful places left in America today. The natural beauty of Spring Island provides a rare canvas for some of the nation’s leading architects. Spring Island’s development philosophy is carried through to its architecture, where each home is carefully designed for its site, so that there will be minimal impact on the land. Spring Island property owners select an architect of their choice to design their Spring Island retreat, whether an intimate cottage getaway or gracious family estate or a stunning waterfront home plan for a home-site at Spring Island. We would love to be Your Spring Island Realtor.